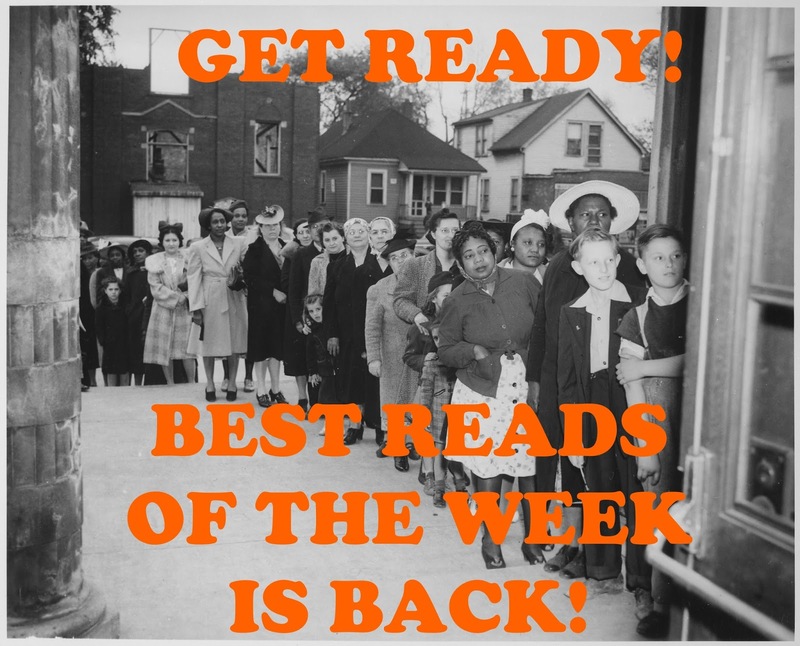 Welcome back to the Best Reads of the Week! Every week I read through more than 450 blogs looking for the best rpg related articles to bring them directly to you. This week thoughts on alignment; dominant NPCs; thoughts on time management; terrible Game Masters; and so much more! If you see a post that you like be sure and tell the author how much you enjoyed it! FEBRUARY 8 - 14, 2015! Too Useful NPCS by jfoster, from the blog 6d6 Fireball: There's a fine line that many of us walk when it comes to getting the players into an adventure that revolves around the question: why haven't the big NPCs handled this situation. jfoster from the 6d6 Fireball blog has some thoughts on this problem. The Art Of Retreat, a.k.a. “Run Away, Run Away!” by markrigney, from the blog Black Gate, Adventures in Fantasy Literature: Have you ever had a situation that you knew was hopeless? You knew you should run or else you, and your entire party, would die? Why do you suppose that none of us every run away and instead keep pressing forward to our certain dooms? A Random Encounter Chart that Reminds You of the 5e Hex Crawl, Wandering Monsters, Weather, Navigation, and Surprise Rules by Paul, from the Blog of Holding: If you're into running Hex crawls but worry that 5e has made it nearly impossible to do so Paul gone through the Dungeon Master's Guide and found the rules you'll need to do it "by the book." Why Alignment is So Hard by FrDave, from the blog Blood of Prokopius: Alignment discussions tend to occupy a large portion of the online community's discussions surrounding Dungeons & Dragons styled games. This might lead you to believe that such discussions are filled with trite repetitions of past arguments yet FrDave's thoughts on the subject never seem so dull or repetitive. The Fellowship by Micheal Shorten by Delta, from the blog Delta's D&D Hotspot: If you ever enjoyed chgowiz's stuff then you need to check out this new document that Delta has brought to the fore. It's free and reminds you why chgowiz was such a force a few years ago (and makes me wish chgowiz would go back to blogging regularly again). It May Be Easy, But That Doesn't Mean I Can Do It Right by +Charles Akins, from the blog Dyvers: Time management is one of the great white whales that I have been chasing since the first time I decided to step behind the screen. How about you? The Arrogance Trap by Angela Murray, from the blog Gnome Stew: Have you ever had Dungeon Master who thought their poo didn't stink? Are you sure it isn't you? The Road Not Taken in D&D Art by +Paul Gorman, from the blog Quickly, Quietly, Carefully: While it's safe to say that many of us have a deep connection to the art that comes along with our favorite role-playing games there's also the suspicion that it could have been much different, and perhaps better. In this image heavy post Paul presents covers from fantasy and science-fiction novels that came out around the same time as Dungeons & Dragons that makes me wonder why wasn't our art more like them.